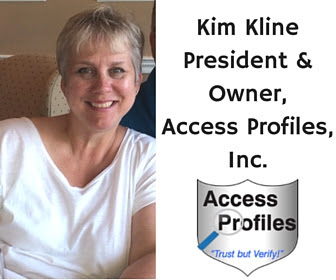 Access Profiles, Inc.: Are You Afraid of Background Checks? They are Not as Scary as You Think! Are You Afraid of Background Checks? They are Not as Scary as You Think! but I don’t want one done on me!!!". This is something I hear quite often. You want companies to do background checks. You want employees who work in schools and in hospitals screened. You want people who work in our homes and in our communities checked. You believe screening employees makes a workplace safer. But when it comes to having one done on you, the need for a background check suddenly doesn’t seem so clear! 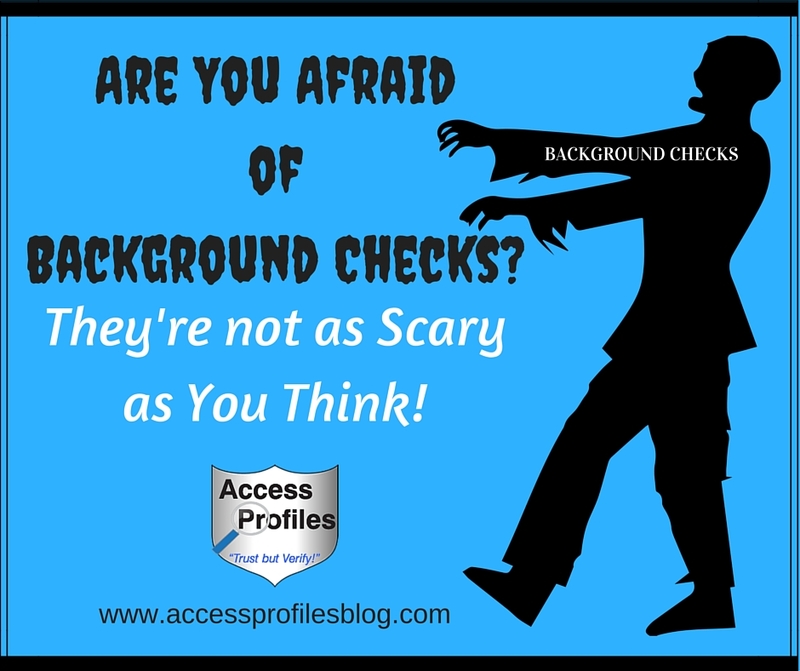 Getting an employment background check done should not be a scary proposition! This fear often arises out of a lack of understanding about what a background check really entails. Applicants are confused about what will be checked, worried about their privacy being compromised, and don’t know what an employer is really looking for! When it comes to background checks, I believe that knowledge and open communication are the answer to quashing those fears. First off, all applicants need to know that once you get to the background check stage, the employer WANTS to HIRE YOU! By that time, they have put in time, money, and energy to advertise the position, wade through resumes, and interview (multiple times) interesting prospects. Only then will they make you a conditional offer of employment and proceed with the background check. “Employers do not just assume that you have a dangerous criminal record or that you have lied on your resume. In fact, it is just the opposite. 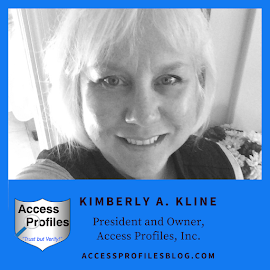 A background check is simply the final step to ensure they are making the right decision”; excerpt from my article “Surprise ~ Doing a Background Check Means They Want to Hire You!”. Another concern you may have about background checks is that they feel like an invasion of privacy. This could not be further from the truth! 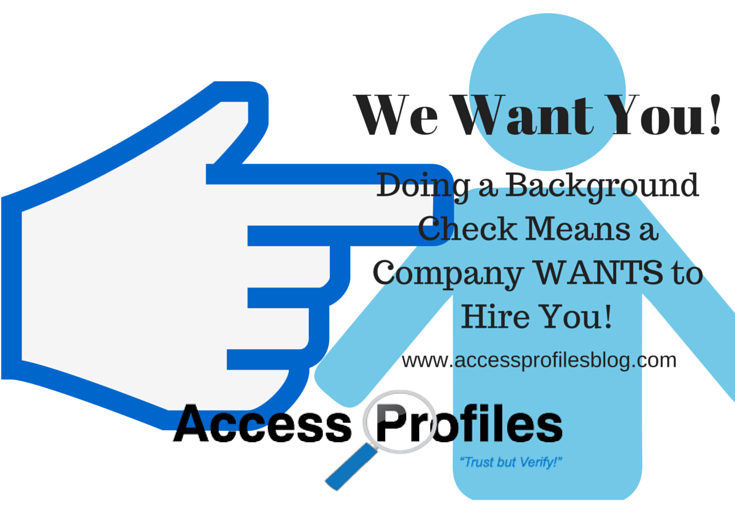 There are laws and guidelines that govern the use of background checks to make a hiring decision. These must be followed by all employers. It is first important to understand that no legitimate employment background check can be done without your full, informed consent. This requires a signed release. Second, you must be notified, in writing, of your rights when it comes to the results of the background check. And finally, if negative information is found, you have the right to mitigate or deny the findings. Employers are also required to handle your personal and private information in a secure manner. This means having a sound record protection policy. Learn more about Background Checks and Privacy issues in “Do You Believe Background Checks are an Invasion of Your Privacy?”. 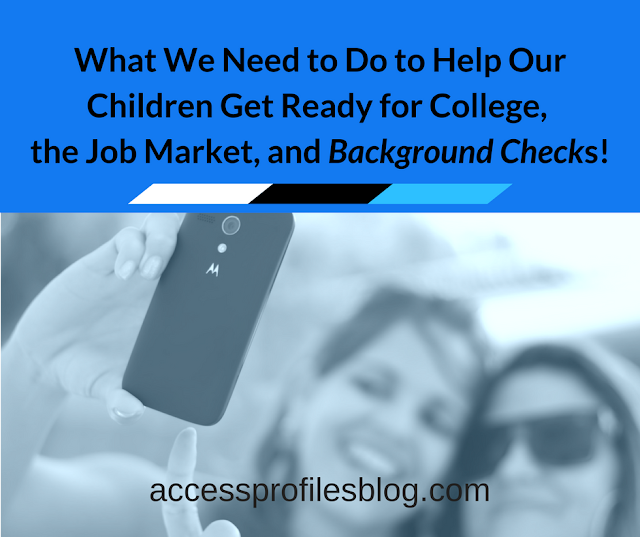 Employers also bear part of the responsibility in alleviating their applicant’s fears about background checks. It is up to you to put them at ease. The perfect start is for you to be completely up front about what you are checking for and why! Be clear about the entire process. Explain the steps you will take, the scope of the check, and even the expected time frame until completion. For a reference to what companies screen for and the reason behind it, please check out “Background Checks ~ What Companies are Really Looking For!”. It is also important that you don’t forget to explain the possibility of delays and why they occur. Slow response time, checking physical court records, and many other things can lengthen the process. Your applicants need to understand this. The best thing you, as an employer, can do is to keep them in the loop. Eliminating the fear of employment background checks takes a team effort. Both applicants and employers need to do their part. Job seekers should educate themselves and Employers need to be open and communicative about the entire process. Only then will both parties find looking for a job and hiring less stressful! We can help Job Seekers and Small Businesses through the Hiring Process. focused on You and Your Business!